CAPS United gaffer Lloyd Chitembwe is not troubled by the lack of goals. After recording draws in the past two games, Lloyd Chitembwe pointed out that only a defeat can worry him. “I am okay with our performance ever since the start of the second half. “We haven’t conceded a goal and my team has been performing very well,” Chitembwe said. Chitembwe, who faces champions FC Platinum, says he is not in any kind of pressure when it comes to getting ready for the Sunday challenge at Mandava. “We are travelling with a target, we have a reputation to protect, we have a legacy to keep and we have a PSL race to run. “We are therefore going to Mandava with nothing but one target, which is winning. 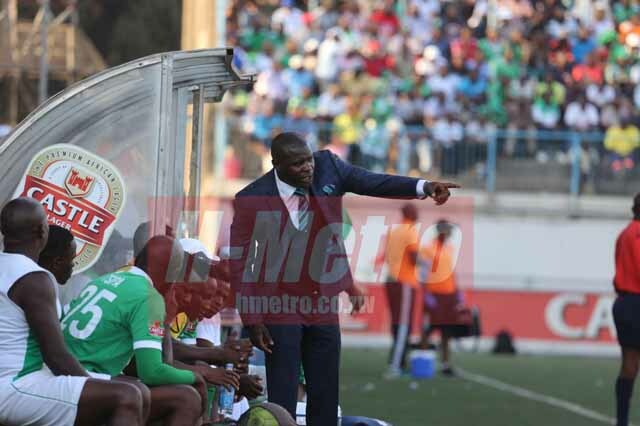 “I cannot say facing FC Platinum is giving me pressure, because every game gives me pressure. “Pressure has always been there in the world of sport and it is a common aspect since every participant will be rallying for a win,” he said.